Two Large Acai Bowls and Two Drinks at Pause Cafe – Taste Amazing Acai Bowls with Strawberry, Granola, Chia, Peanut Butter etc. 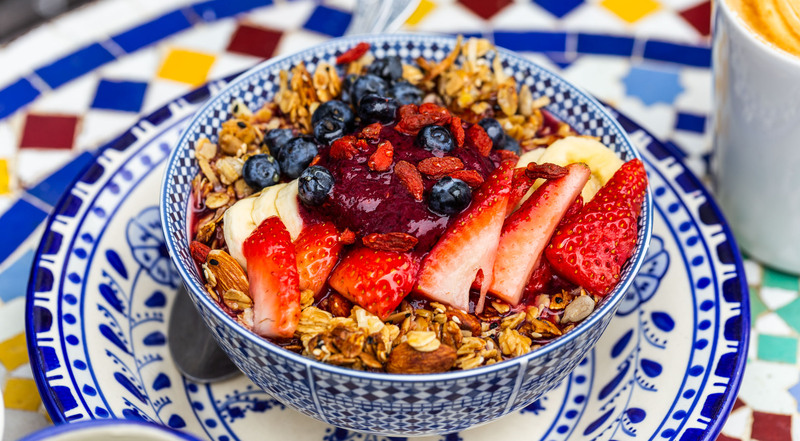 LES Favorite: Two Large Acai Bowls and Two Drinks at Pause Cafe – Taste Amazing Acai Bowls with Strawberry, Granola, Chia, Peanut Butter etc. 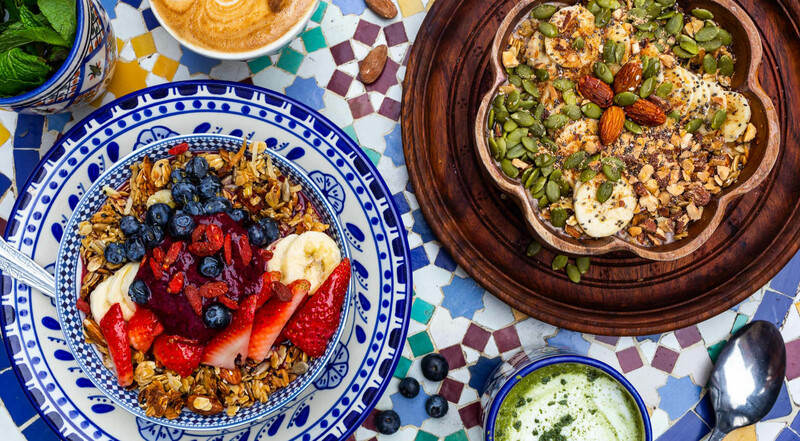 Superfood bowls have come to stay, and at the LES neighborhood favorite, Pause Cafe, the colorful and healthy acai bowls are taken to the next level. 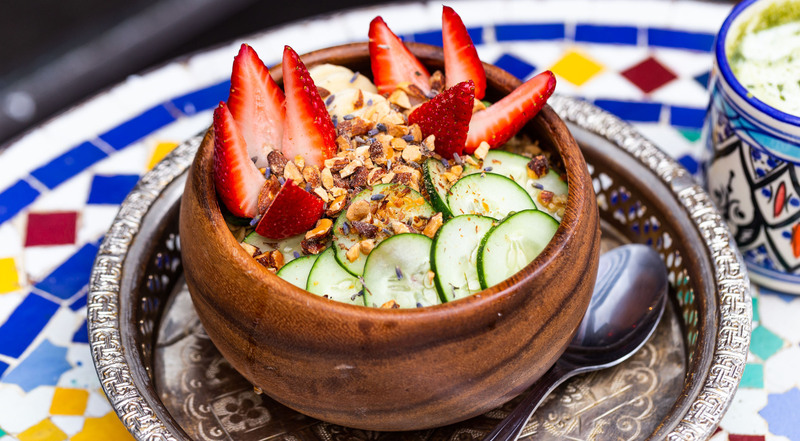 The Moroccan influenced cafe mixes superfoods with cozyness. 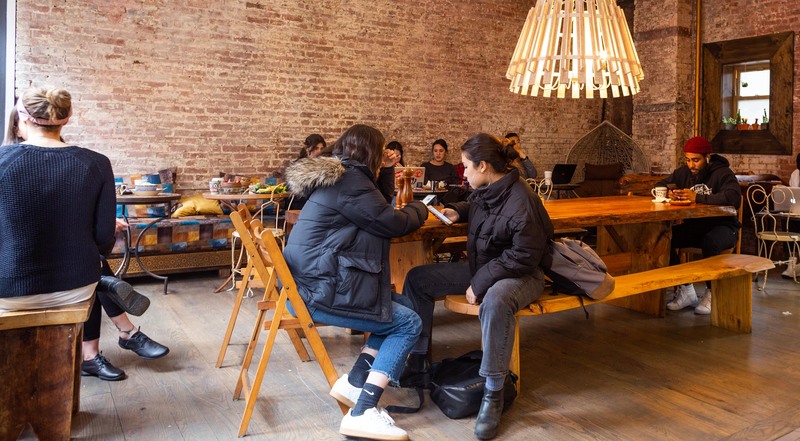 The owner has succeeded in taking inspiration from his cozy living room into the cafe, which makes Pause an amazing place for guests to enjoy, indulge and relax at. Invite a friend or a loved one on a Pause date. That’s right, you both deserve a break with a little indulging. Pick two large acai bowls free of choice together with two drinks. Try the Very Berry with a base of blended acai, banana, blueberry, raspberry and blackberry, topped with homemade granola, fresh strawberries, blueberries, goji berries and honey. 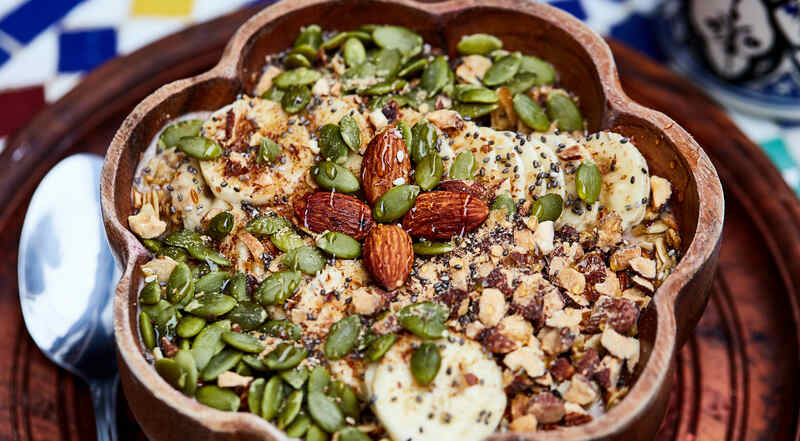 Or, if you are a fan of nuts, go for the Mix Nuts that features acai, banana and almond milk, topped with pumpkin seeds, almonds and chia seeds. Trying to be extra healthy? Then you’ll like the Green Bowl with acai, kale, spinach, avocado and spirulina. 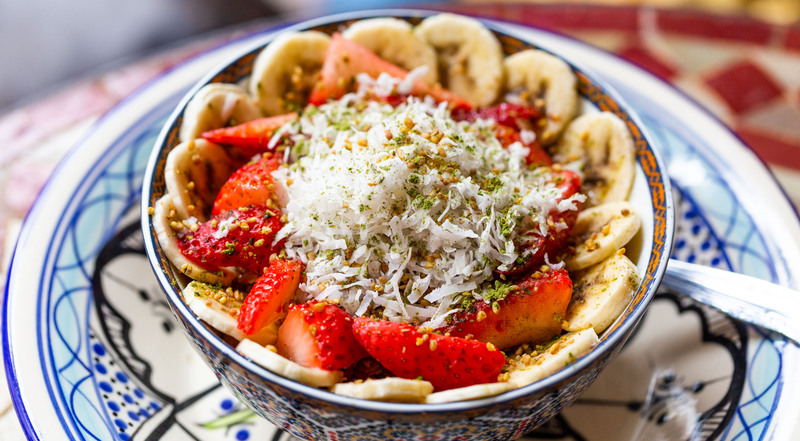 Or opt for the Matcha Green Tea Bowl with mango, ginger and pure matcha, topped with banana, coconut, strawberries, Japanese buckwheat and agave. 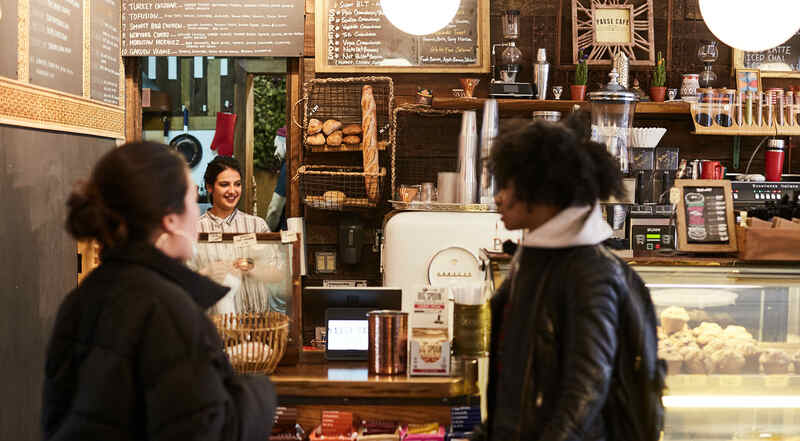 For the drinks, you can choose between all coffees on the full espresso menu as well as alternative superfood drinks. Are you more of a tea drinker? Pause Cafe has a great tea selection and offers delicious matcha drinks too. Best cafe ever in LES! 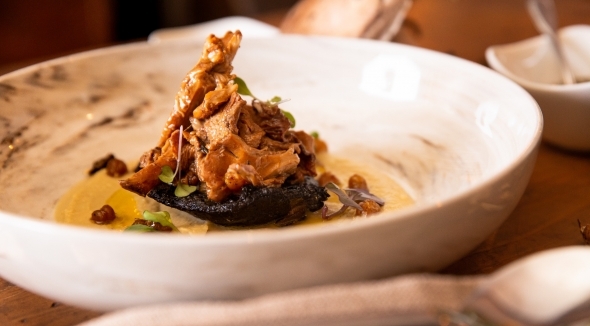 Food is delicious, a must-go! I can't rave enough about this place! The acai bowls here are spectacular. Seriously. Look no further! The popularity of the small cafe resulted in long lines in front. The solution? Pause Cafe recently expanded by including the space next door, however still offering the same cozyness as the small cafe had. Here, you’ll find a vibe which is hard to find anywhere else, and the acai menu is one of its kind!